This works in Lightroom Classic (and older versions of Lightroom, such as Lightroom 6), as well as in the new cloud-based Lightroom CC. 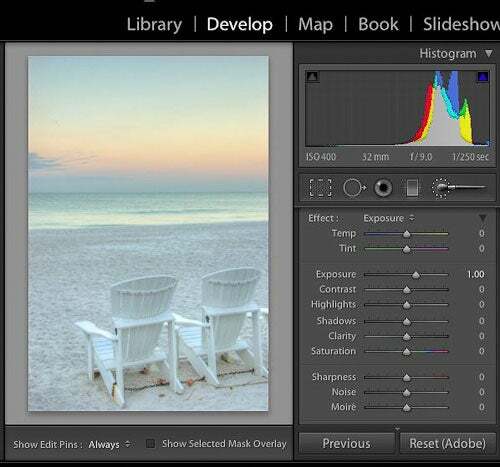 Open the adjustment brush, graduated filter or radial filter. Double-click on the word “Effect” to reset all sliders to zero.